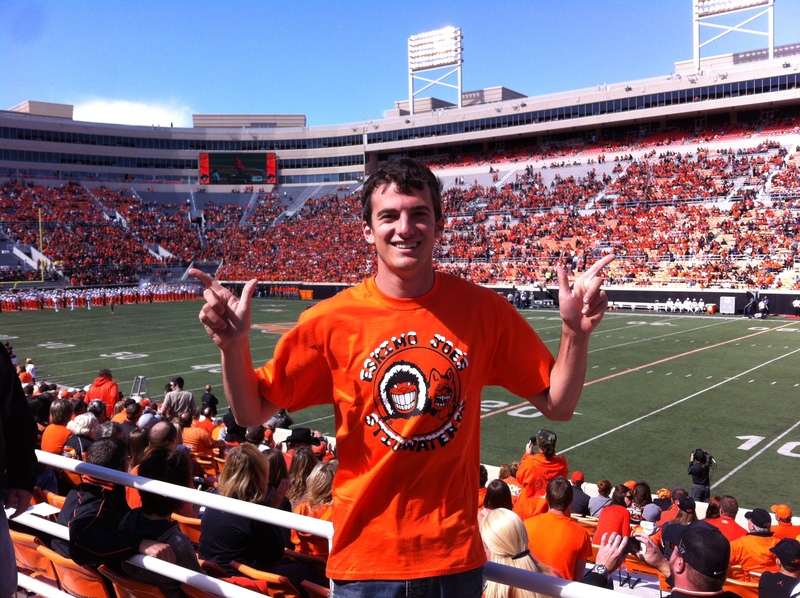 Over the weekend, I traveled to Stillwater, Oklahoma to go to the Oklahoma State/ Kansas State football game. While i was primarily in Oklahoma, the trip actually involved visiting 4 states: Missouri, Kansas, Oklahoma, and Arkansas. Oklahoma is one of my favorite places in the US to visit and is certainly the most different place culturally that is road-trippable from St. Louis. Oklahoma has a similar culture to Texas, but without the ego and cheesiness. The people are genuine, hard-working, and all somehow look a lot like Jeff Bridges. Oklahoma still has a lot of tension, as the whites and Native Americans still are at war for the land. The state is very conservative, which strangely makes the culture stronger. 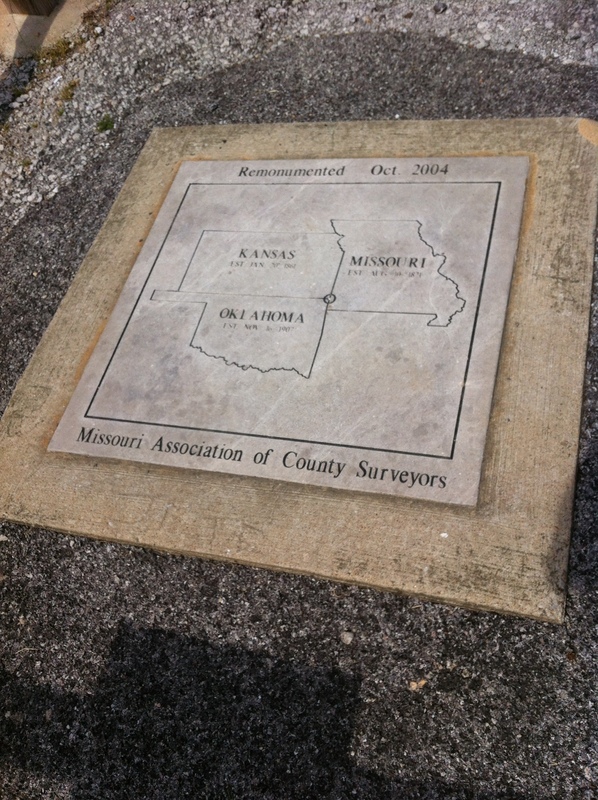 My first stop on the tri-state point, where Missouri, Kansas, and Oklahoma all come together. The monument is located right off the interstate. 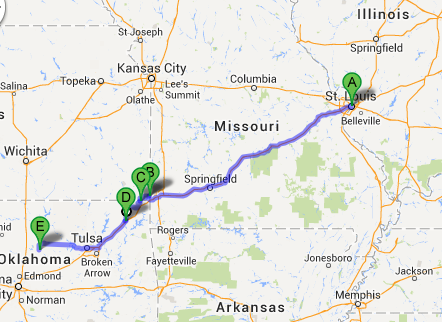 Next, I went to Galena, Kansas, which is on the famous Route 66. Having been to Galena before, it was cool to see the town in a different season. 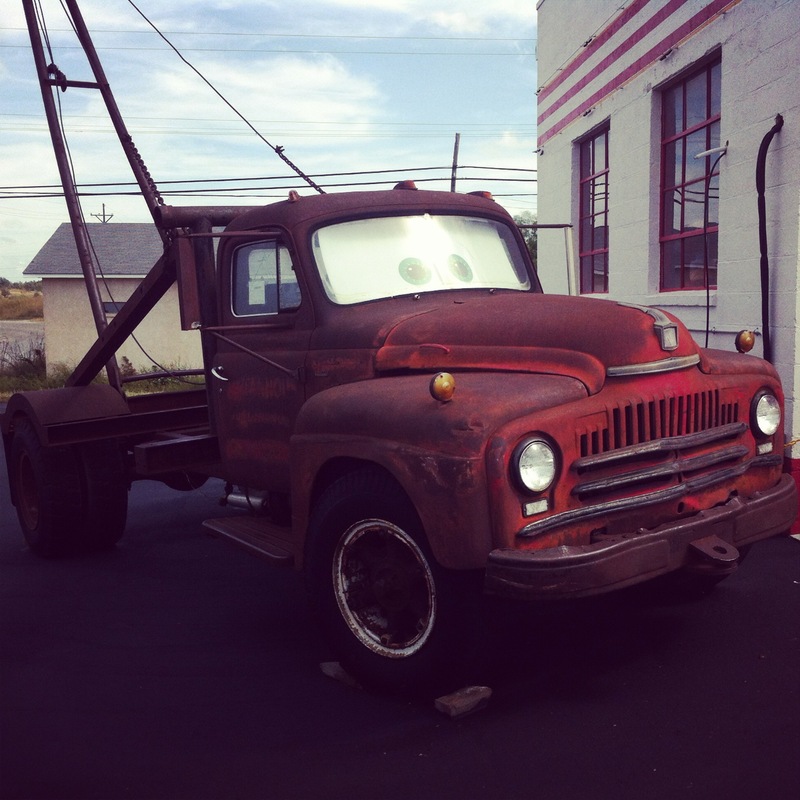 One of the highlights of the town is the Tow Tater car, which is the real world inspiration for the Tow Mater car in the Pixar movie CARS. Interestingly, I missed this landmark the first time I went on the route 2 years ago. The next stop was Pitcher, Oklahoma, which i discovered through Tripbucket. The town is modern ghost town, as everyone moved out in 2007 after the government condemned the land. The Quapaw Indians subsequently bought all the land and forced all the residents to leave (according to the lady who worked at the pharmacy, the only remaining business in town). There are currently 5 families living in Pitcher which used to have over 1,000 residents. The only business remaining is a pharmacy. The houses still stand, but are gutted and have KEEP OUT painted on the outsides. 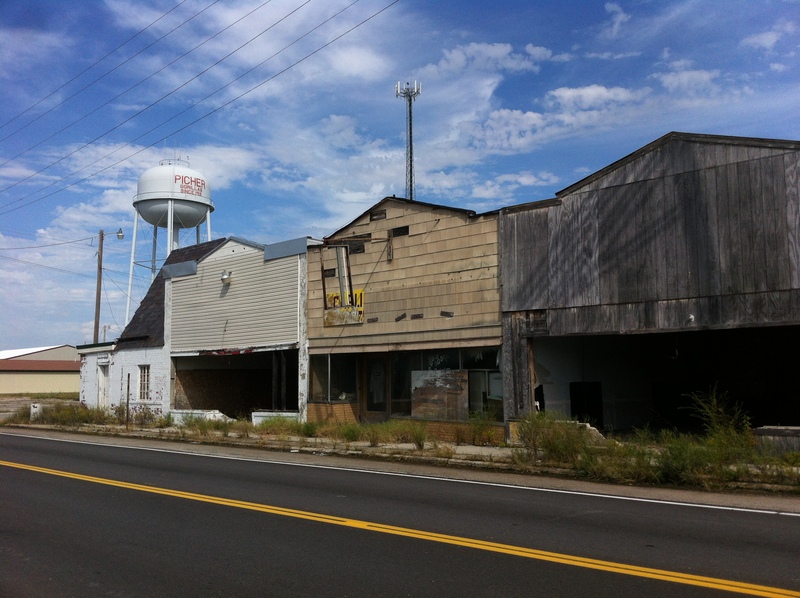 The small main street is in shambles. 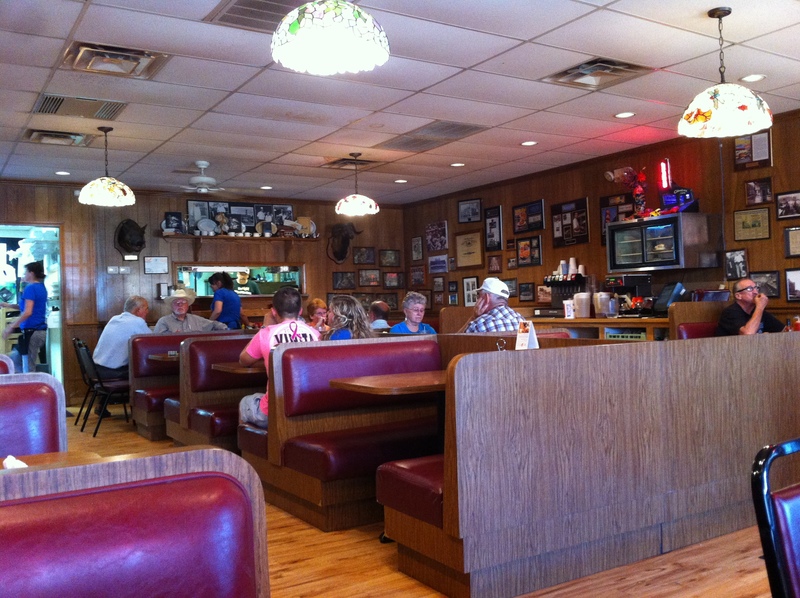 From Pitcher, I went to Clanton’s Cafe, a legendary Route 66 diner in Vinita, Oklahoma. Clanton’s is famous for 2 items, chicken-fried steak and calf fries (aka Rocky Mountain oysters aka calf testicles). I had both and they were delicious. My final stop for the night was Stillwater, home of Oklahoma State University. The first thing I did was to set up my camp, west of Stillwater at Lake Carl Blackwell, which is owned by Oklahoma State. I pitched my tent right on the lake shore underneath a small grove of trees. While I was setting up camp, on three separate occasions, people came up to me to warn me about the approaching storm. 50 mph winds, rain, and potential hail. However, because of the game tomorrow, every hotel in the area was booked, leaving me no other option but to stay and camp. And who knows, maybe the storm won’t be so bad. After pitching my tent, I headed into town. 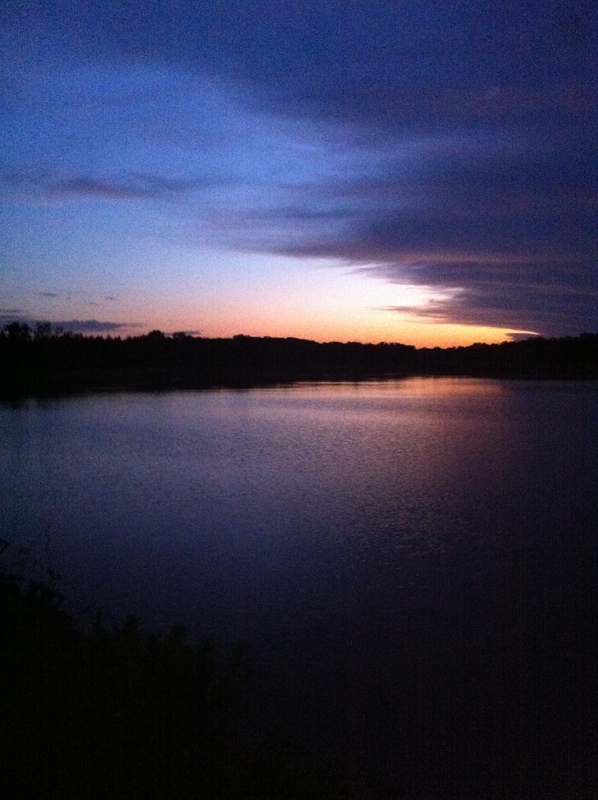 There is much to to Stillwater than one would expect. Stillwater is the home of Red Dirt music, a version of country music that includes the bands Cross-Canadian Ragweed, Bob Childers, and the Red Dirt Rangers. The genre is named after the red soil found in central Oklahoma. 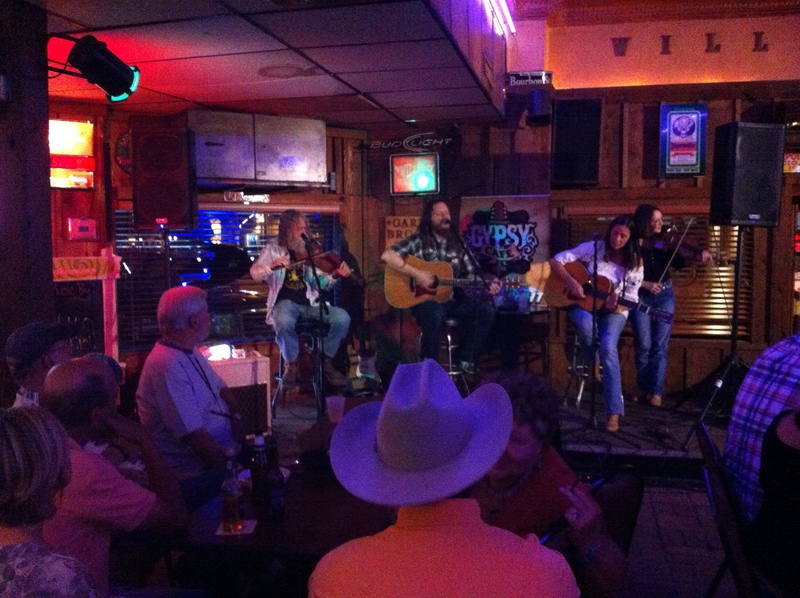 Luck be had, the night I went to Stillwater, there was a red dirt music festival at 4 bars in town. I went to a bar called Willie’s Saloon, which was the site of Garth Brooks’ first public performance. The musicians were wonderful storytellers. However, around 10, I decided to leave in order to get settled into camp before the storm hit. As I drove back to the lake, I could see the lightning. It struck every 2-3 seconds for the entire drive back, lighting up the sky into what seemed like daytime. Once arriving in camp, I took my sleeping bag out of the car and as I was walking to my tent, the rain began. All the storm predictions turned out to be true and for 4 hours, the rain and wind pummeled my tent. The storm was so intense that about 30 minutes in, my rain fly had a gaping 10 inch hole at the top and it started to rain inside my tent. While I probably could have gone into my car at this point, I feared that leaving the tent unattended without any weight to hold it down could cause it to blow away. Additionally, I feared that hail could break my car windshield, so sleeping there could also be dangerous. So i weathered the storm until it ended at about 2 am at which point I passed out from exhaustion. I got on Saturday up with the sun around 7am. Last night before the storm there were 20 campsites occupied. This morning, there was nobody except me. It felt like I Am Legend, where Will Smith wakes up to find out he’s the only person left on earth. Driving away from the campsite, I blasted the Keith Whitley song “I’m No Stranger To The Rain” from the car stereo. I then drove into town for the main event, OSU Gameday! Gamedays at Oklahoma State involve both tailgating and bars. The game was at 2:30 PM, so I started at 10 AM at Eskimo Joe’s, the most famous bar in Oklahoma. Eskimo Joe’s is constantly ranked as one of the top college bars in the country and for good reason. The atmosphere was lively, had lots of space, lots of bar space, great beer selection, good music, good decorations, great cheese fries, and a whole lot of fans wearing orange. 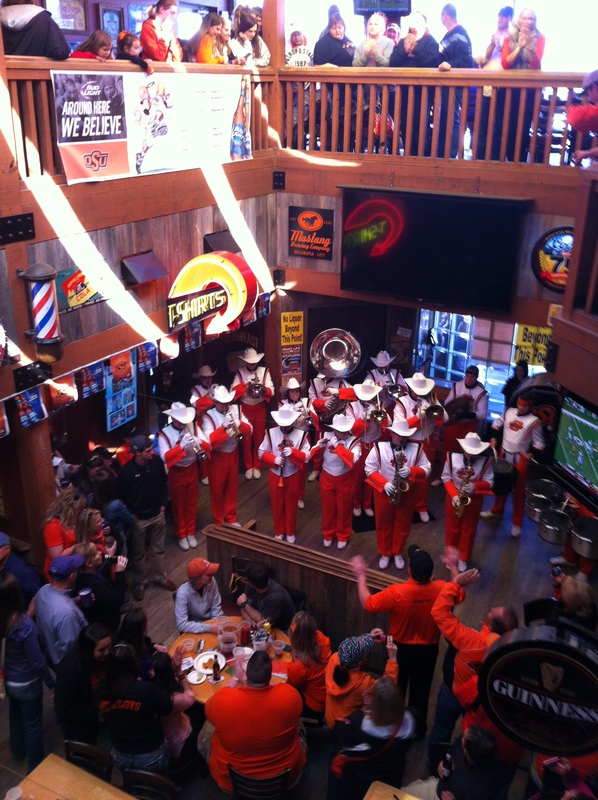 The bar also co-branded with the university, so at 11AM, the Oklahoma State Marching Band walked into the bar to perform a short pump-up concert. After leaving the bar, I wandered through the campus, which was covered in tailgating tents before stopping at the Student Union. At the Union, there was a sign saying that T. Boone Pickens, the largest donor to the school and namesake of their football stadium, was having a book signing. So naturally, I went. Although, we did not get to talk much, I am honored to have met such an important American businessman on his home turf. 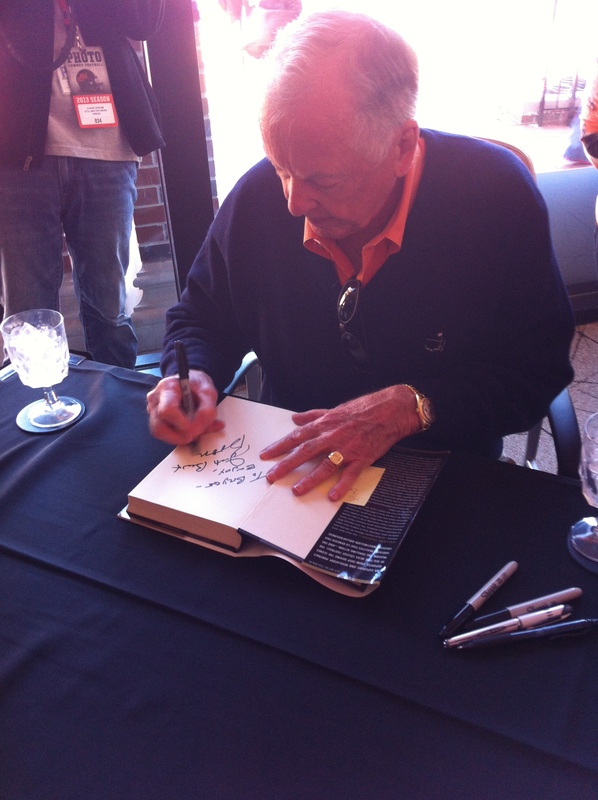 T Boone Pickens signing my book! One of the most famous pre-game traditions at Oklahoma State is The Walk. All the players spend the night in the hotel in the Student Union and walk to the stadium about 4 blocks away. 2 hours 15 minutes before the game, with a large crowd gathering, the cowboy mascot named Pistol Pete fired his real pistol into the air signaling the start of the parade. 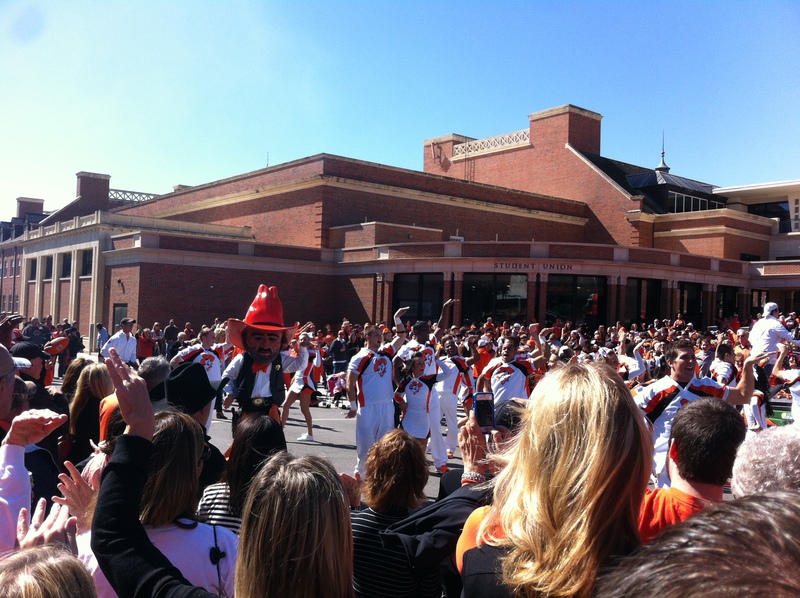 Following Pistol Pete was the cheerleaders, then the drum line, then the band, and then finally the players. I walked into Boone Pickens stadium about 30 minutes before kickoff to a sea of orange (and a smattering of K-State fans) numbering 58,000, which is the 3rd largest crowd in OSU football history. The stadium is unusual because there is a large building behind the east endzone instead of stands. The field itself is sunken below the stands and a 10 ft wall separates the field from the stands. The student section is very large, encompassing about 1/5 of the stadium. The front row of the student section is given paddles which they beat again the wall surrounding the sunken field in unison. The noise from these paddles overshadows the screams of the crowd. Shoot em up, State! Go Pokes Go! The game was very competitive. Oklahoma State pulled out the win with an interception in the final minute of play capping off a perfect two days.